Cupcakes 'n Daisies: A Few of My Favorites . . . I really enjoyed reading all of the comments on yesterday's post about what appeals or does not appeal to you when you visit a blog. While we may have different preferences regarding the length of a post, we all pretty much agree that pictures and a connection to the writer are key. Most of the negatives were in regards to music added to a blog. I always keep my computer mute button on, so I never know when music is playing! I also agree that font size is important. Sometimes I wonder if my readers think I'm getting in their face with my large font, but the last thing I need are new wrinkle lines from squinting while reading my blog. Today I thought I would share my 3 favorite pictures from my blog over the last year. I really want to improve on the pictures I share with you. 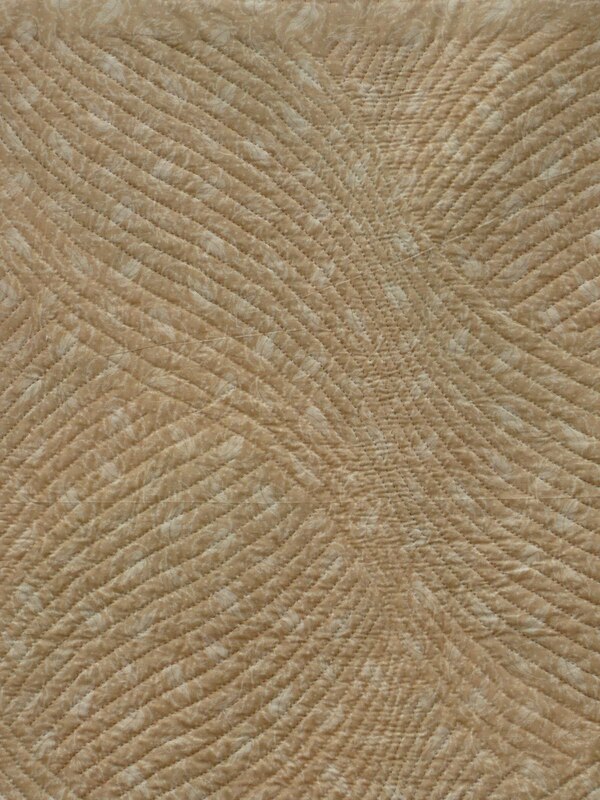 Someone who not only does amazing quilting, but is able to capture the quilting detail with her camera is Judi at Green Fairy Quilts. I just love seeing what she comes up with. Lately I have really been inspired by the blog Sew Picture Perfect. Each day there's a new theme for displaying sewing related pictures, and they are always amazing. My hat's off to anyone who has had a photo selected for that blog. this is Cooper in his Garfield the Cat Halloween costume. He really got into his role. If you enjoy pet pictures, check out Paws 'n Tails Quilts. Laura has pictures of cats in the most interesting positions in the strangest places......I don't have a cat, so maybe that's just what cats do, her cats can sleep in the most bizarre positions. Melinda selected the Spirit Layer Cake by Lila Tueller for Moda. Congratulations! 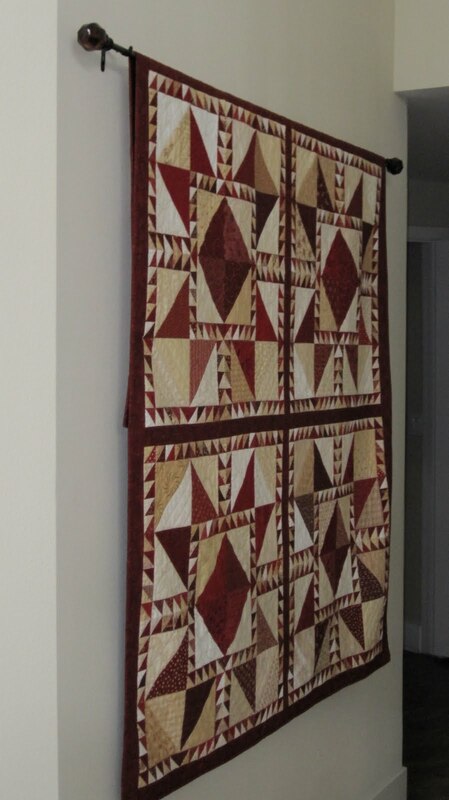 The winner from the Celebration Continues Post is #5, Becky, who has the blog "The Quilting Book Lady". Congratulations Becky and thanks for leaving a comment. Please send me your address and choice of layer cake. Today's giveaway is for any layer cake or jelly roll from the Green Fairy Quilts. She offers wonderful prices on her precuts and is currently offering a special, a free honeybun with any jelly roll or layer cake purchase. You will really be winning two things!! To enter leave a comment on this blog before 5 am CST on Friday, August 27th. I would love to know your feelings about receiving a response after leaving a comment on a blog. I went through a phase where I would not create a new post until I had responded to all the comments I received on the last post. When someone asked me why I was blogging less and I explained, she said she would prefer more posts as opposed to getting a response from her comment. When I started blogging I was told it was proper etiquette to respond to all comments and felt guilty when I didn't. Now I get to what I can and then move on but still feel guilty when I don't respond to all of them. Some comments are so thoughtful or well written I think they deserve a response.....so what are your feelings on this? Friday will be the last day of "The week of Cupcakes 'n' Daisies First Anniversary Celebration", I hope you're able to come back! Happy 1st! I always enjoy reading your blog Thelma. It's always well rounded. I find I comment a lot less when I'm not blogging myself. Not getting a response doesn't bother me at all, unless I've asked a question. I respond when I can, but sometimes don't make it through all of them. I don't wait to post until I have finished responding, but then again, I usually post so sporadically that I have plenty of time to respond. I will say, that it is nice to get that email reply back when I comment, so I guess I try to keep that in mind when I'm responding back. Your Myths of Avalon is a favorite of mine. I love stars and I love red! And Cooper looks like he was born for that costume! What a good sport. I don't answer every single comment. I do respond to all first comments though even if it's just to simply thank them for visiting and leaving a comment. If they have a blog, I'll visit it as well. I do respond to as many other comments as I can. I do agree with other posters that a response is nice if the commenter asks a question. It really gives me a chance to get to know people and I've formed some blog friendships that way. Sometimes I get behind. I don't have any rules about new posts, I post when I'm ready to. Silly me - I am new to blogging & at first didn't realize one could respond; therefore was surprised when I got a response. I am learning. However, no response does not bother me. I would much rather read (and see) the new projects. Your blog is one of my favorites, so I would rather see more posts than receive a reply, although I certainly have appreciated the replies (how's that for equivocating?). Like the others, I do appreciate it when bloggers answer a specific question that I've asked, but certainly don't expect them to answer a general comment. Just keep posting your beautiful quilts! I don't respond to all comments (and don't expect others to respond to mine) because that has the potential to turn my blog into an obligation, which would take away from what my blog is to me. But if someone asks a question, I will answer the question in the comments for that entry. I LOVE your hand quilting on the Twisted Bargello #18! Beautiful work! I enjoy receiving a response after I comment but often I have forgotten what I have even commented on-the joys of aging! So obviously if there isn't a response, I'm not even going to know! I don't want a response because it's an obligation but because someone wants to talk to me. JMHO. First of all, thanks for the "plug" for my blog! I'm honered to have you mention it :-). To answer your question, I have the same guilt over responding to comments, although I don't wait on doing another post before responding to them. They kind of pile up and then I respond to them all at once, sometimes quite late. I am rethinking my approach to responding to all of them, or trying to anyway, because I am honestly not offended if a fellow blogger doesn't respond to my comments. I left my comment because I wanted to, not because I expected a response. Also, as someone else said, I look forward to seeing the posts from my favorite bloggers much more than getting a response to my comments. I'm always surprised when I get a response, and not offended at all when I don't. For me, it's kind of like conversation. If I make a comment, no more is required, although it is appreciated. But, if I ask a question, I'd appreciate an answer. But certainly, everyone is busy and it's hard to respond to everything. I'm new to blogging though! Since I don't have a blog, I'm not sure how I would handle responding to comments. I certainly don't think it's an obligation of the blogger to respond to every comment made. I have asked a question on a couple of blogs, and have greatly appreciated the answers I got. Since I live in a very small town, and have few quilter friends here, I get so much from reading the blogs and I LOVE the inspiration I get from the pictures. When I do leave a comment on a blog, I am mainly just wanting the blogger to know how much I appreciate the post. Something about the words, or pictures, really moved me to respond. Consider it a thank you for what you do. I've considered a blog, but with 3 teenagers, I just don't get in as much quiting time as I would like, and feel my blog would be too boring!! 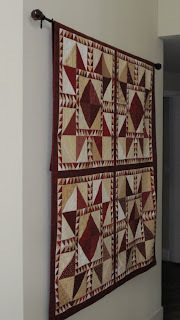 And I agree with you, Green Fairy Quilts blog is a favorite, and her quilting is amazing! Congratulations on one year...I have certainly enjoyed it! Love the pic of Cooper in his Garfield costume! I appreciate that you take the time to inform and inspire us. I wouldn't expect a response to every comment, that would take too much of your time. I would rather see more pictures and posts about your adventures. I respond to all comments but lately have been finding it very difficult to do so because it just takes sooooo long. And sometimes there just isn't really anything to respond to. I think that a comment is nice, but certainly not necessary. I try to reply back to everyone who comments, but sometimes it's just not possible. I'm not offended when people don't reply to my comments. So don't worry about it - reply if you want. Love Cooper in his Garfield costume. My comment response is limited to the amount of time I have. Sometimes when I have a block of time, I go back and respond to all the comments from the last month. I enjoy it when other bloggers respond to comments I have made. But if you only have a limited amount of time, I would much rather you write a new blogpost about what you are wroking on, than respond to comments!! When I first started blogging I would respond to EVERY comment and if the commenter was set for 'no reply' I would do everything I could to find their e-mail address and respond. I try very hard to respond to all comments but sometimes I simply get lazy. I appreciate a response to any comment I leave but I don't expect it. Beautiful quilts and Cooper is adorable. I'm still new to blogging and still worry about the etiquette involved (not that I have many comments!). When I first started my blog, I didn't even realize that I could respond to a comment! In any case, a reply is really nice (and surprising), but not necessity to me. I usually post a comment because something really strikes me. Long answer short: More posts and worry less about responses! When I get a response to a posted comment, I think it is great. I don't expect a response to a typical applause type comment, but if I post something that might be a question or an unusual comment, I may get an answer back. From the other side, I have a pretty new blog, and I very rarely get any kind of response. So I am really thrilled when someone posts a comment for me. Great question to ask today...I try to respond...but like so many others have said...sometimes you just can't keep up with it all! Love Judi's quilting...she lives not too far from me and is the nicest person! I'm really glad she's been able to quilt some of my quilts! I try to respond to all comments on my blog and appreciate it when others do also. That said, sometimes it is just impossible to get everything done that we want to do. I would rather read new posts than have a response to a comment, if that is the choice. Thank you so much for the layer cake of Spirit. I can't wait to fondle it. I've enjoyed reading the information you & your commentors have compiled about blogs and preferences. When I leave a comment I don't expect a response. If I need to ask a question I'll opt for an email instead of a comment. Responses, when I get them, are always a nice surprise. I have a little blog, and I try to reply to comments, especially when they are especially thoughful or thought provoking, but I don't get the traffic on my blog that others do, so it doesn't take much time. There is no way bloggers who have a large following can or should keep up with comments, and it would be frustrating and unproductive to even try. I always enjoy reading your blog. I love to see what you are working on and I do not expect a response to comments I leave. I know if I have a question you will answer me! I really don't expect a reply to every comment I post anywhere. I much prefer seeing more posts. If a blogger has a minute to go see what a commenter has to share on their blog, that's a bonus. There are only so many hours in a day! Thanks for sharing your quilting - I love checking in to see what's new. Your quilts are fantastic, but I just love that pic of your dog!! Your pics are great, but you mentioned wanting better pics. I found that the quality of my pics increased when I posted them in Flickr and then used the web address (rather than uploading them to my blog) to get the pic on blogger. I also edit them in www.picnik.com, using only what is free. I only respond to comments if I am asked a question. I don't think it's rude not to get replies back, because I comment on a lot of blogs and don't expect that--unless I ask a question. I love the photos shared today, angles add dimension to our projects, so I try to show both. I love emails back to my comments, it's more like a conversation that way. But, I do understand not receiving a comment back, it is a lot of work. I'm a non typist, too, but I've gotten faster! Thanks for the great questions and giveaways! it is really nice when you do get a response from a comment, but i also understand that everyone's lives are busy and sometimes you just can respond. By responding you continue to build on friendships. I too love Sew Picture perfect and green fairy quilts. we must be traveling in the same circles. When I get a response back I feel a connection to another quilter. But I'm never upset if I don't get one. I try to respond to my comments but I'm not perfect at it and hope others understand. I check your blog every day and enjoy both the comments and the pictures. It would be nice to get a response if a question is asked, otherwise I wouldn't expect one. Another great giveaway! Thanks for the chance to win. When I leave a comment, I never expect a response, but when I do get one, it's such a pleasant surprise. I really enjoy your blog. Keep inspiring us and don't feel that you need to respond! In general, I don't need a response at all. 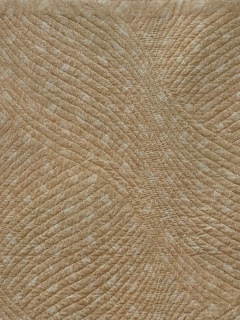 The only exception I can think of is when I ask a question about a specific quilt pattern (or something like that) it would really be nice to hear from the person who posted it. thankyou for a wonderful blog! Thelma, I loved the picture of Cooper in his Garfield costume. I hadn't thought about a response to a comment, but in doing so I think there would be sometimes when a comment is called for. For instance, if you told someone where they might find something it would be nice to hear back in regard to that. Yahoo!!!! I can't believe this wonderful news. Thelma, I e-mailed you my address. Love, love, love the photo of Cooper as Garfield:) Such fun! I guess I would like a response but as a blogger there are times when I don't have time to respond to everyone like I should so I have mixed feelings about it. I think that responding to a question and other comments that you can is all any one can ask. I can say that I was thrilled when I got to respond to the first comment left on my blog, but sometimes you just can't respond right away and then it seems to late to respond. Hi Thelma, I dont ever expect a response to a comment, I think it is totally unecessary. I love the Myths of Avalon quilt! Those reds really do it for me! I don't expect to receive a reply to my comments (unless, of course, I win the giveaway!). I would rather read more of your posts than have you take the time to reply. I often don't reply to comments on my blog either unless someone asks a question or makes a more in-depth comment (something other than a congratulations on a finish or a "great job). I figure their inbox is just as cluttered as mine and they don't need an e-mail from me saying "Thanks for the comment." So, are you going to respond to all these comments? I feel guilty if I don't respond to a comment on my blog so I really try to be diligent about it. I am always honored when someone chooses to comment on my posts. I have to say I'm fine not getting a response unless I've asked a question. When I started my blog, I didn't know that was proper etiquette. I must have missed the first day of class or something. It is nice to occasionally get a response back though. Nice but not essential. I like a response to a comment, but I don't expect it and rarely have had a response. When someone does bother to respond, I am pleasantly surprised. It's always a pleasant surprise to receive a reply, but I certainly don't expect one -- and especially when the blogger has lots of commenters, as many of my favorite blogs do. I always appreciate a response when I leave a question on a blog, but I usually don't expect a response! I know people have a life outside of the blog world, and sometimes there just isn't time for the invisible friends. I am always thrilled when people leave comments on my blog. It may take me a couple days to respond; but because my comments aren't that many, I do try to respond to each one when I get the time. Myths of Avalon was the quilt that started my fascination with your blog. I came here from Nichole's at Sisters Choice. She recommended your blog, and she has great taste! You are always so inspiring. I love, love, love that pink and black quilt!! I still get 'happy' when I pull up your page. You do the cutest graphics. By the way..a special thanks for putting me on your blog roll sometime ago. I have Feedjit on my blog...and see a lot of people come to my blog from yours. Just wanted you to know that I sure appreciate your kindness. It sure seems like you have been blogging a lot longer than a year. You are an inspiration to the rest of us!